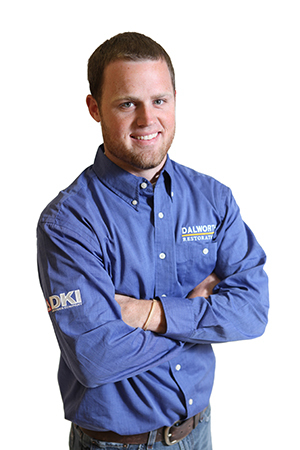 Nick Hobbs has worked for Dalworth Restoration since 2003. Nick started off working in the field and as dispatcher for our deflood division. He is currently the manager of our deflood department and production manager for our energy saver solutions division. Nick also travels with our catastrophe restoration division nationwide when disaster strikes. Nick is very methodical when it comes to tackling customers’ restoration projects. He always finishes what he starts and does it right the first time. He has outstanding communication skills and is able to explain technical situations in nontechnical terms, so customers understand the issues facing them and the repair options they have. Nick has moved up in the company due to his dedication, hard work and hands on experience.